"Half the town is gone," said the mayor of Amatrice, one of the worst areas affected. A family of four were feared dead in the rubble of their house in the nearby town of Accumoli. 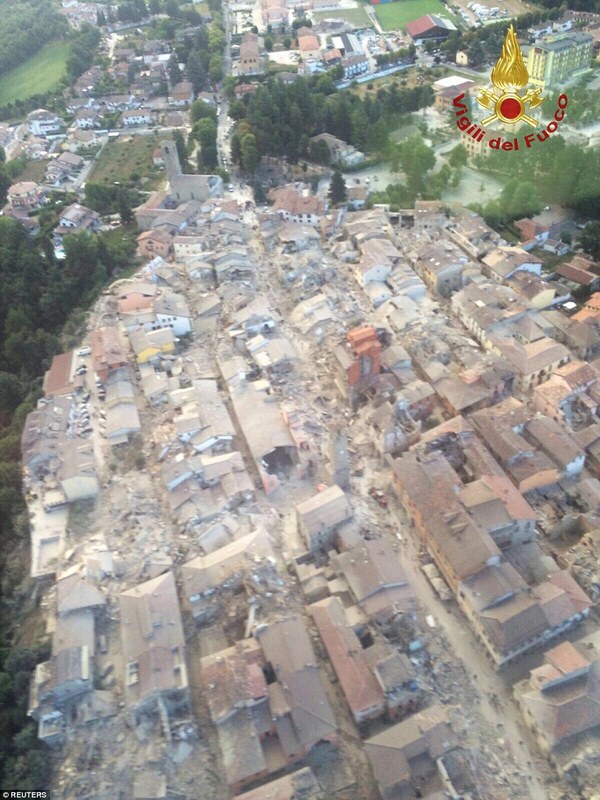 The quake hit at 03:36 (01:36 GMT), 100km (65 miles) north-east of Rome, at a shallow depth of 10km. Some buildings in the capital Rome shook for 20 seconds. Officials warned the number of fatalities was likely to rise. Debris: This is an overhead view of Amatrice, whose historic centre has been wiped out by the powerful earthquake overnight. 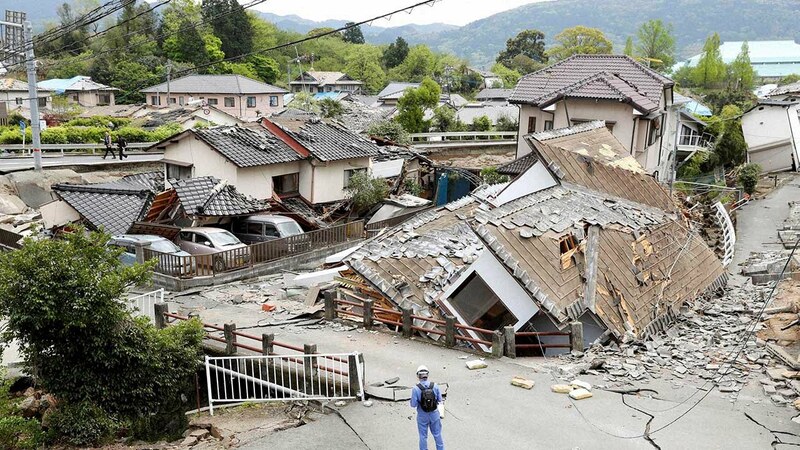 The head of the civil protection department compared the earthquake's intensity to Aquila in April 2009 in which 309 people died the BBC reports. The area is now suffering large aftershocks with a large mag 5.5 has struck in the last hour.